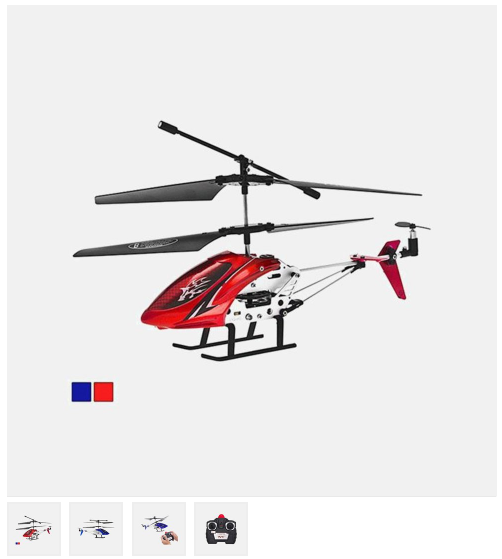 The Repeller 3.5-Channel RC Helicopter $17.99 + FREE Shipping (Reg. $70)! You are here: Home / Great Deals / The Repeller 3.5-Channel RC Helicopter $17.99 + FREE Shipping (Reg. $70)! I know you have kids (and maybe even a hubby!) who want one of these, but they can be pretty expensive! But not with today’s deal!! You can snag this awesome The Repeller 3.5-Channel RC Helicopter for only $17.99 + FREE Shipping (Reg. $70)! This RC helicopter is easy to fly featuring a gyroscope auto-stabilizer that makes it great for beginners and pros alike. With superior material and concise design, the Repeller remote control helicopter can withstand more bumps and is also easy to operate.